I am back in New Mexico with some good friends at one of my favorite birding locations at Bosque del Apache National Wildlife Refuge. We are here primarily for only two birds, the Sandhill Crane and Snow Geese. 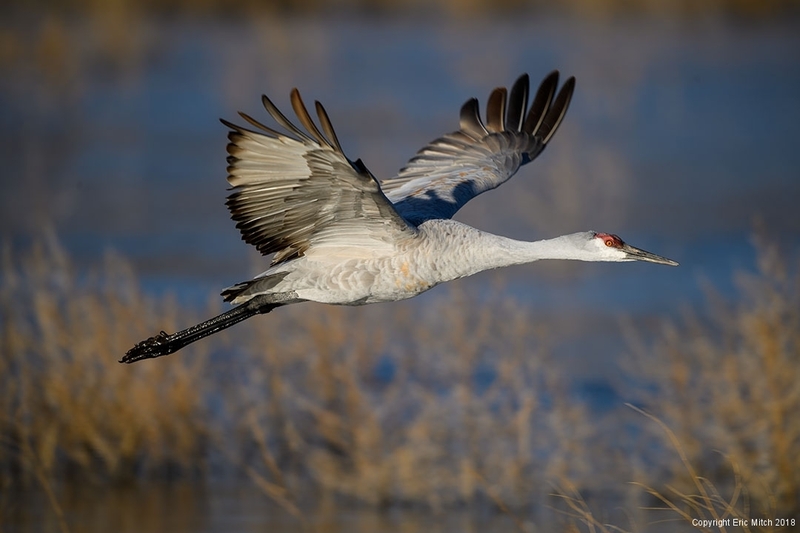 These birds like to spend the night in swallow ponds where they can protect themselves from predators. The refuge is on the migration path for the birds and this is one of their favorite stopovers so it makes for some reliable bird photography. You need to get to the refuge early in the morning and find which pond the birds decided to use for the night. You might have to drive a few miles around the loops to find their favorite pond. You also need to plan where you want to stand to get that early morning light on the birds. You need to take in to account wind direction since that will dictate which direct they will take off. And lastly, you need to focus on your background so you don’t have busy out of focus birds or bald sky. This entry was posted in Travel, What I've learned, Wildlife.